This review originally ran in the Tuesday, August 21, 2012 issue of Shelf Awareness for Readers. If you don't already subscribe, sign up here to receive a bi-weekly dose of readerly goodness in your inbox. The Kingmaker's Daughter, the fourth novel in Philippa Gregory's Cousins' War series (which began in 2009 with The White Queen), delves deep into the life of Anne Neville, 16th Countess of Warwick, and Queen of England from 1483 to 1485. 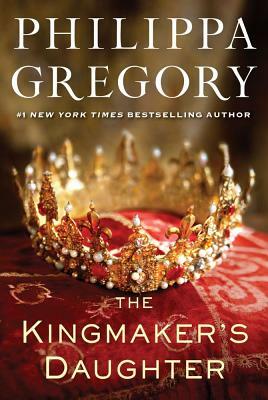 Gregory's detailed account of England during the Wars of the Roses, and the psychology and culture of 15th-century English courts, will prove a delight to her fans or to anyone enamored of English history. As with her previous novels, The Kingmaker's Daughter draws on a real figure of history, developing the emotional fabric of one woman's life to reveal in detail the world in which she lived. In the case of Anne Neville, it's a life lived as a pawn in the political plots of powerful men.